Hello, friends! 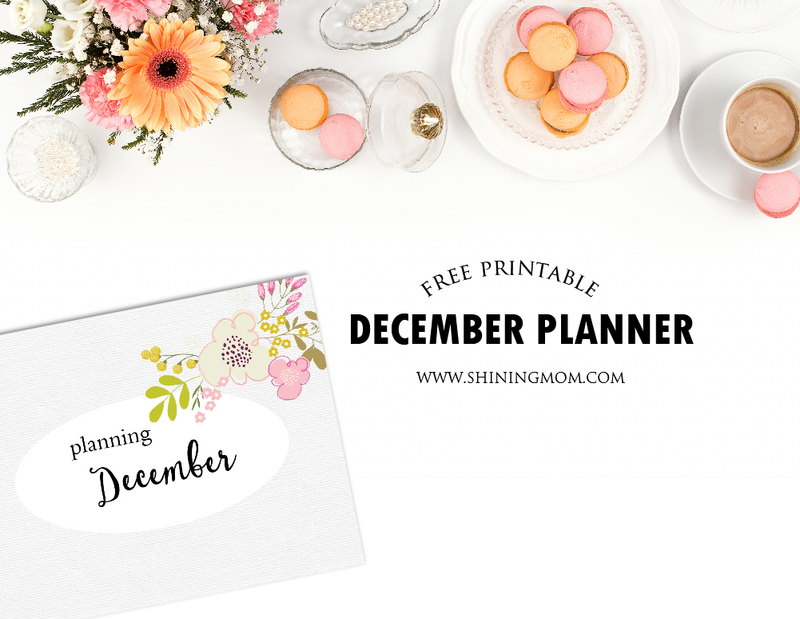 It’s time to plan a meaningful and joyful December! What, it’s December already? 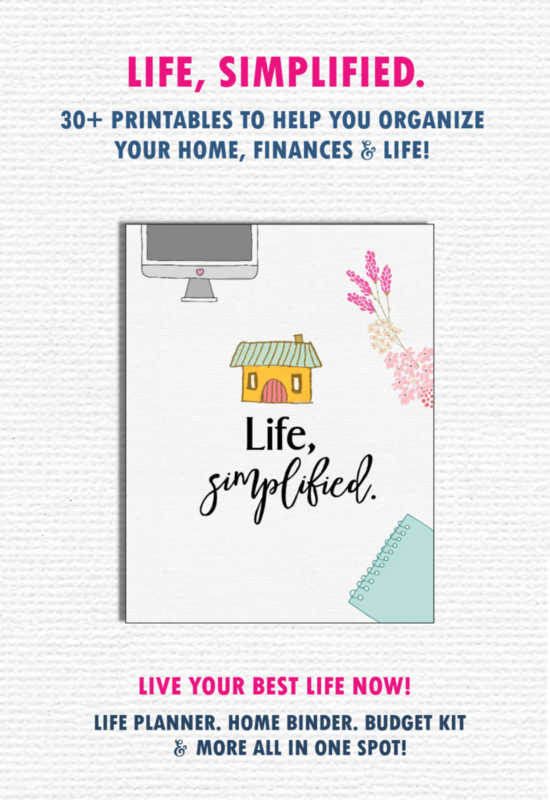 So it has been a year of sharing a new planner design each month here on Shining Mom? Oh, Thank you! Your warm welcome to this little segment of mine has made it last this long! I will surely carry it on to 2017! 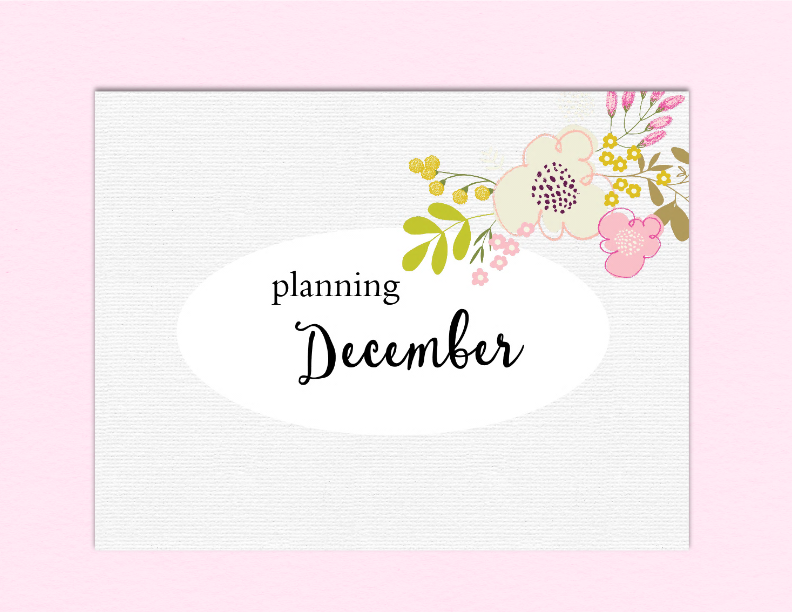 Well, I find planning my December a beautiful ritual. I love the kind of ‘busyness’ the month brings. I love the idea of writing down my plans on how to make the yuletide season a little more special for others and my family. I love attending reunions and parties. I love decorating. I love giving gifts, and well, receiving! Hahaha. I just love December! It’s a full month I know, but it has always been the happy kind of full! This month’s planning pages is of different layout from the past months, have you noticed? It’s in landscape format this time to give you more room to plan the days ahead. The design is simple and very feminine in muted colors. 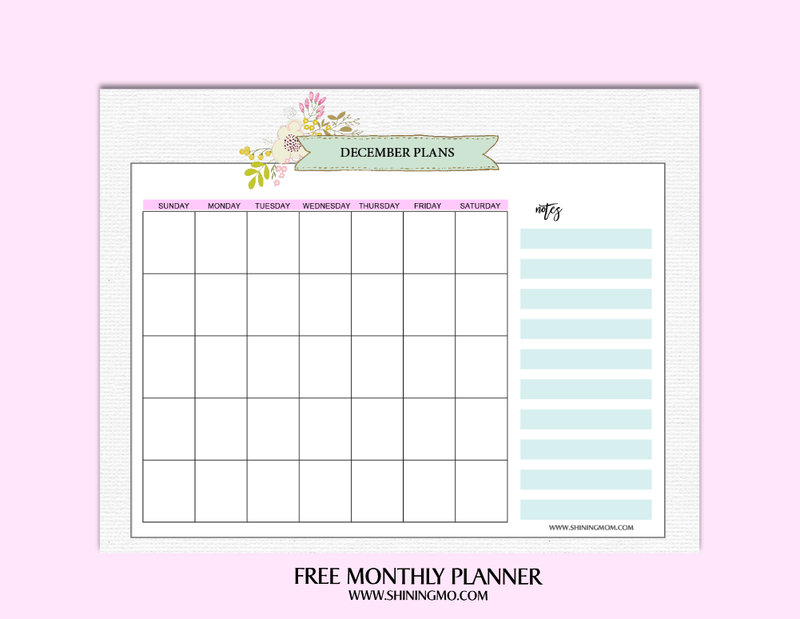 I think we can blissfully map out our December plans in this pretty thing! Thanks to DesignCut, I have a beautiful toolbox that helps me design my planners easily! You’ll only get a few pages this time because I have previously shared a Christmas themed planner for Shining Mom’s Twelve Days of Free Christmas Printable series for your more detailed holiday planning. Here then are the lovely pages! Write your activities for all the weeks of December right here. 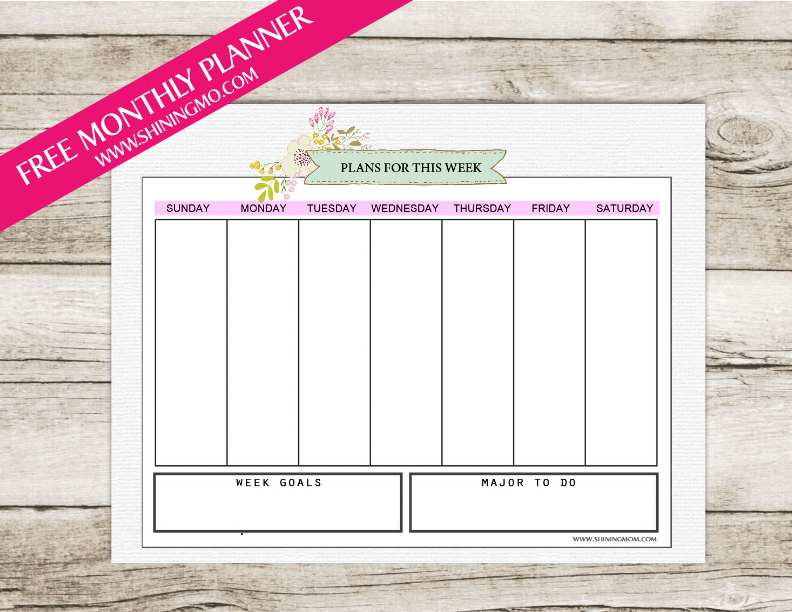 Write your schedule for each day of the month in this dainty page. You’ll never miss a party again! Hahaha! Anyway, I have also previously released free dated calendar copies for the month and you can grab them HERE. So how do you find the pages? They’re dainty and great to use to map out our December, isn’t it? Please go HERE to get your copies. Have fun using them! I have a little announcement to make. I have quietly released a whole new binder over the shop and I hope you can come by to view it. 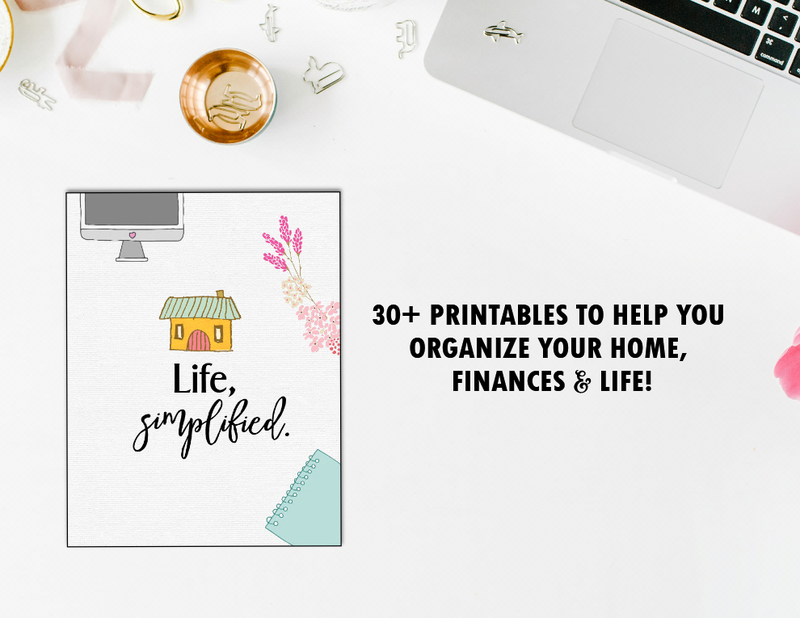 It’s a fun binder (loaded with pretty prints!) that you can definitely use to ease your every day. It’s great to use this Christmas time and also an amazing toolkit that you can use in 2017. It’s my best ever so please make sure to view the binder HERE, or simply click the image below. Thank you! Let’s all have a shining Christmas and a wonderful year ahead, friends!